LONDON (Bloomberg) – German supplier Robert Bosch GmbH settled a U.K. lawsuit accusing SGL Carbon SE of overcharging for graphite products during a price-fixing cartel uncovered more than a decade ago. Terms of the accord are private and neither company was ordered to pay the others costs in the case, Justice Gerald Barling wrote Tuesday in a notice on the website of the Competition Appeal Tribunal in London. 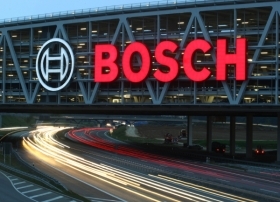 Bosch's settlement doesn't involve the other customers or cartel participants in the four-year-old lawsuit by Valeo SA, France's second-largest car-parts maker and St. Louis-based Emerson Electric Co. The other defendants in the case include Morgan Crucible Co. and Schunk GmbH. The companies sued after the European Union in 2003 fined Wiesbaden, Germany-based SGL and other cartel members a total of 101 million euros ($137 million) for fixing prices on graphite products from 1988 to 1999. While Morgan Crucible received immunity from the fines because it was the first to cooperate, its former CEO Ian Norris was sentenced to 18 months in prison in a U.S. case over his role in the cartel. Bosch spokesman Achim Schneider and SGL spokeswoman Corinna Gemein declined to immediately comment when reached today by phone. In a related case, the cartel members were sued in London in December by Deutsche Bahn AG and other rail companies in Britain, Germany and Italy, seeking to recover overpayments for carbon and graphite products.